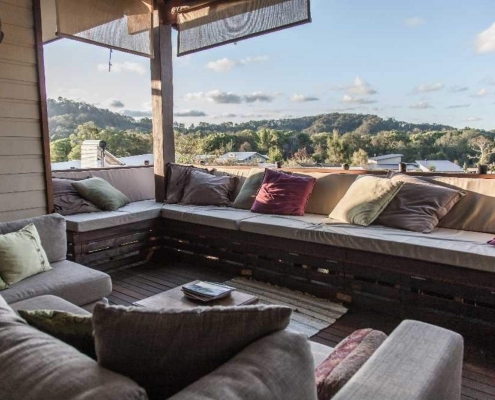 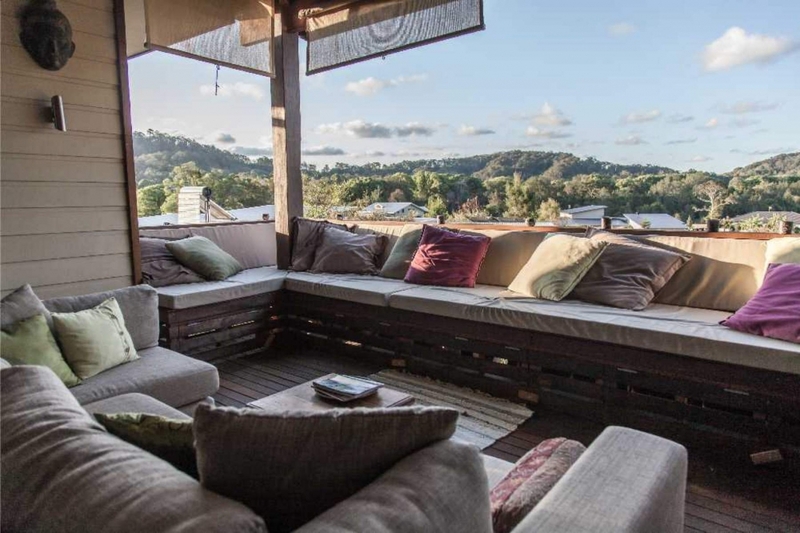 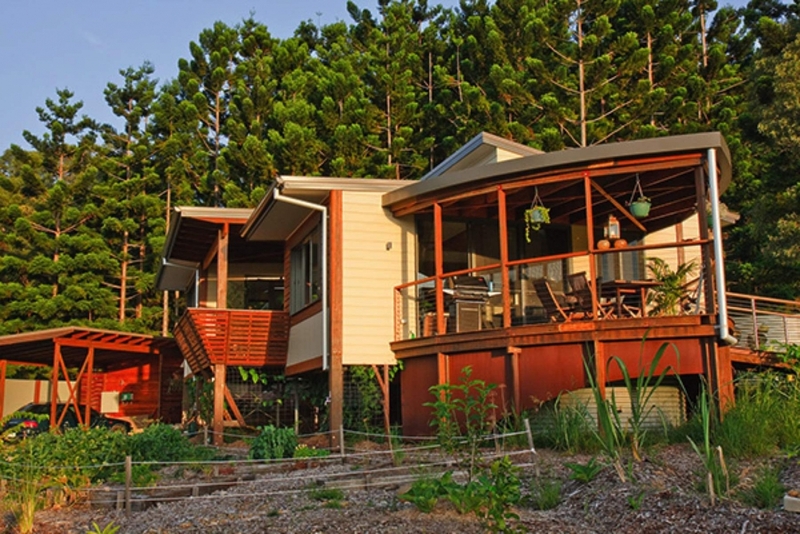 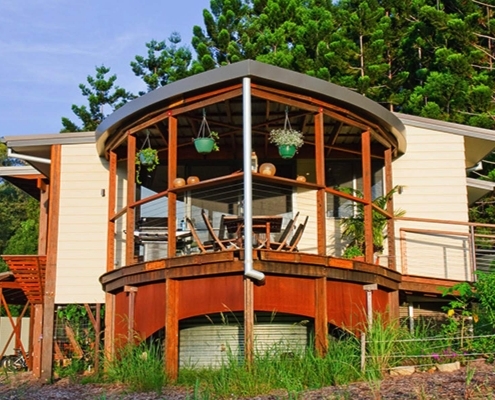 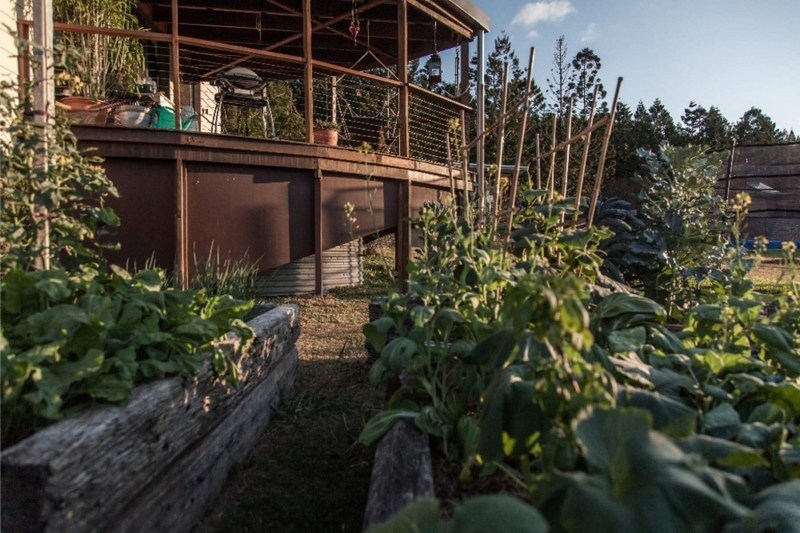 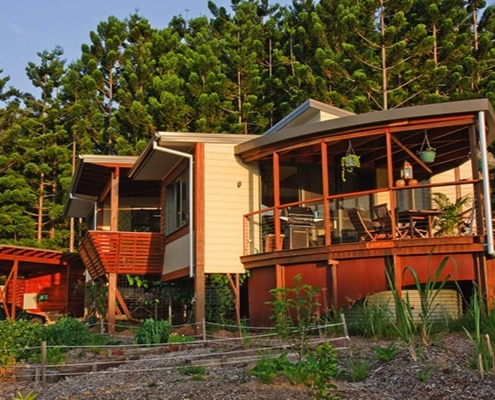 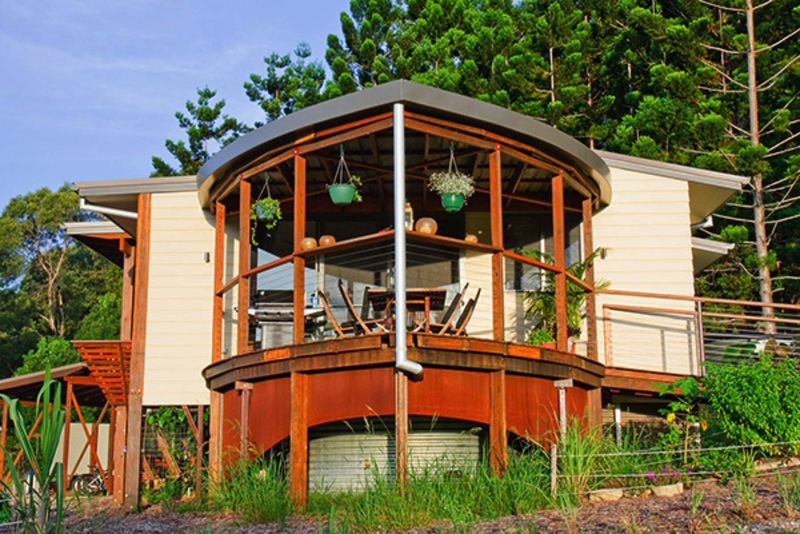 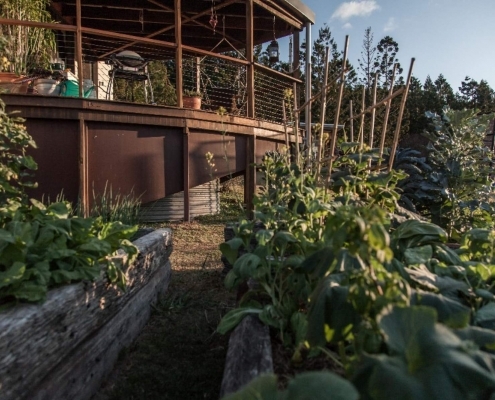 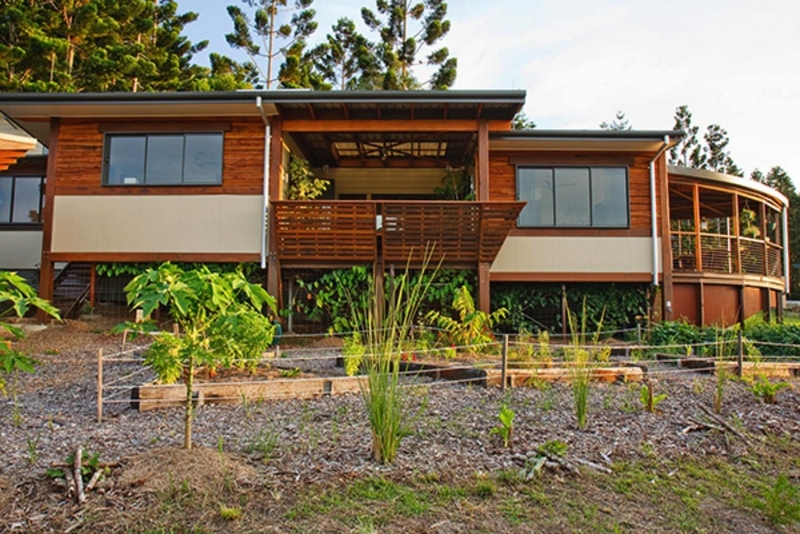 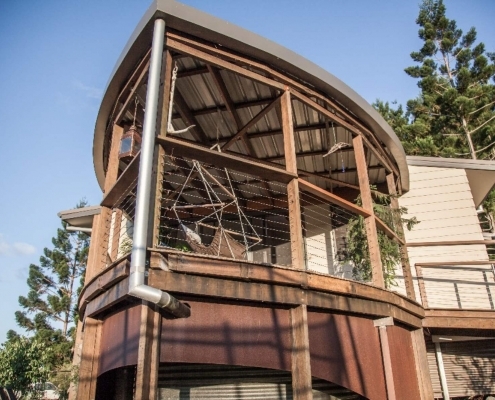 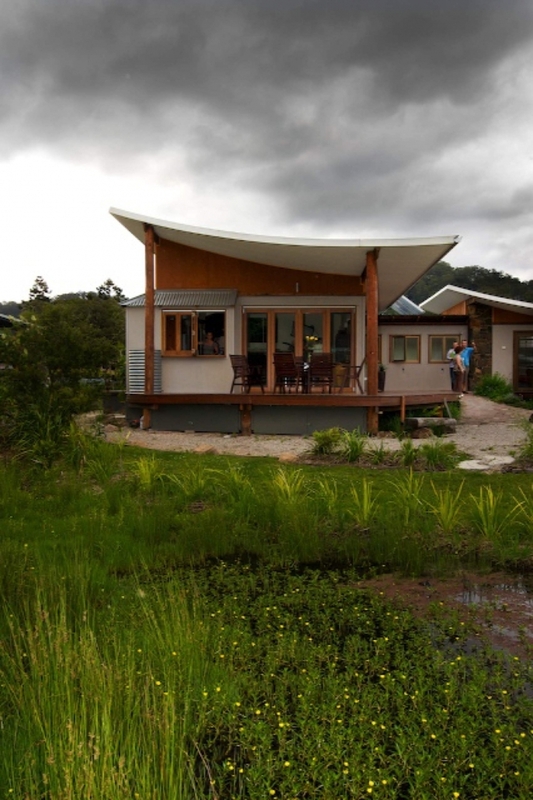 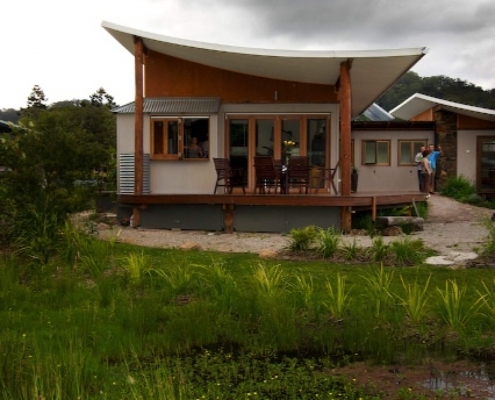 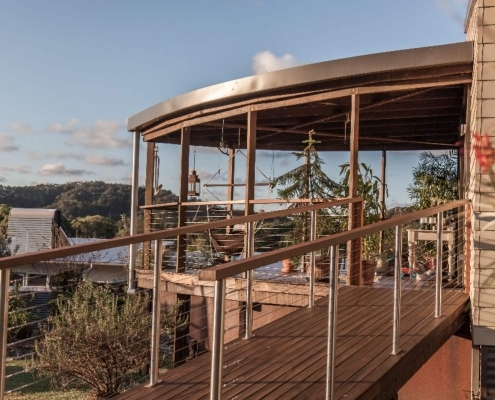 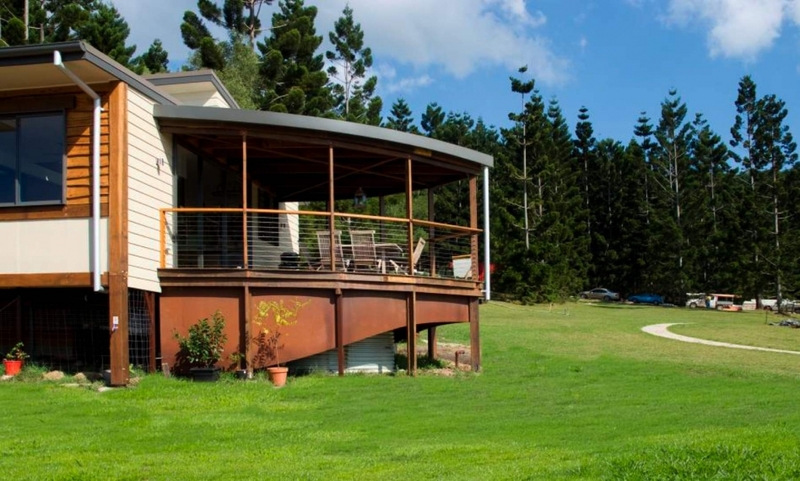 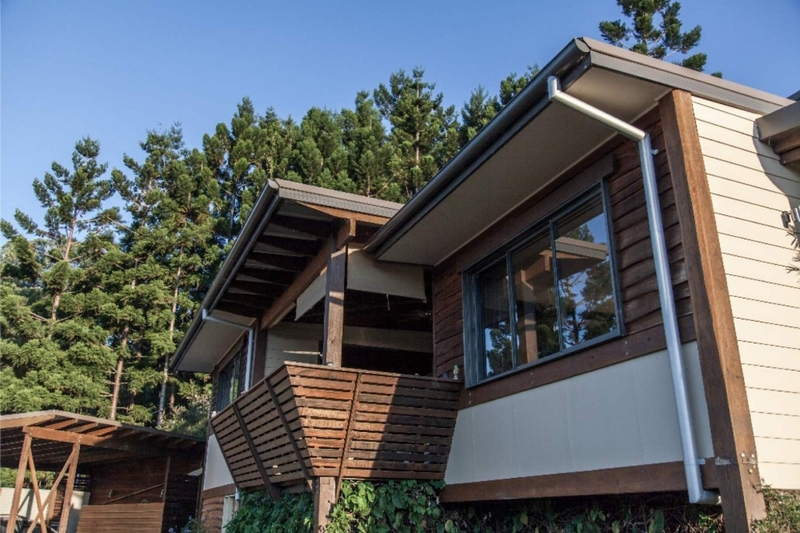 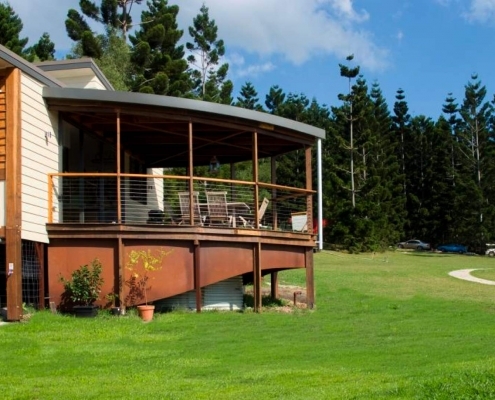 Another house in the award winning “The Ecovillage” in Currumbin Valley: The owners wanted a sustainable and affordable home plan to suit their growing family and allow for his passion of organic gardening. 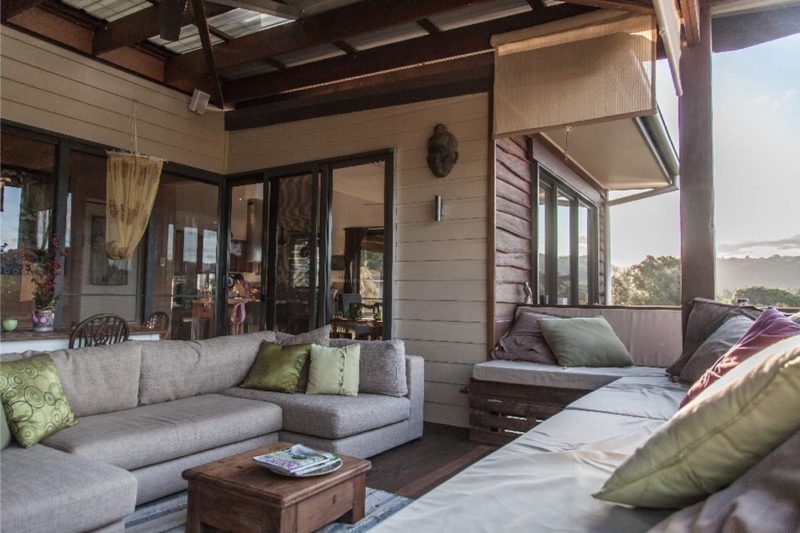 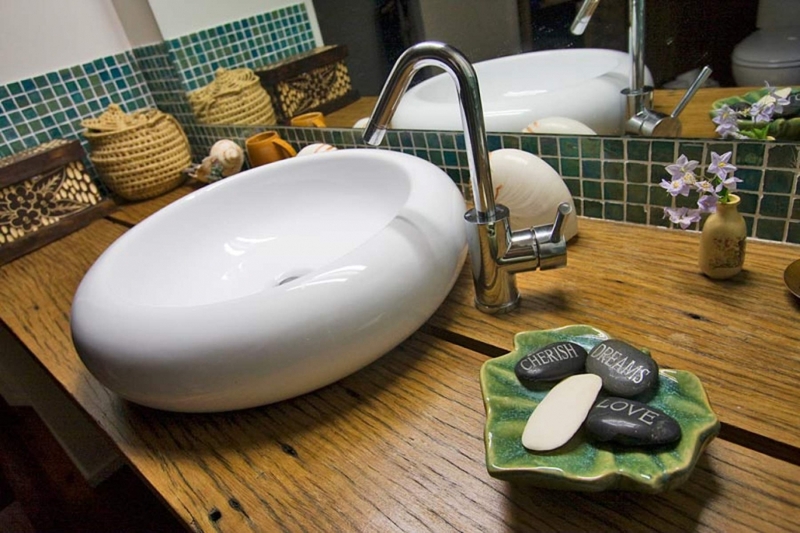 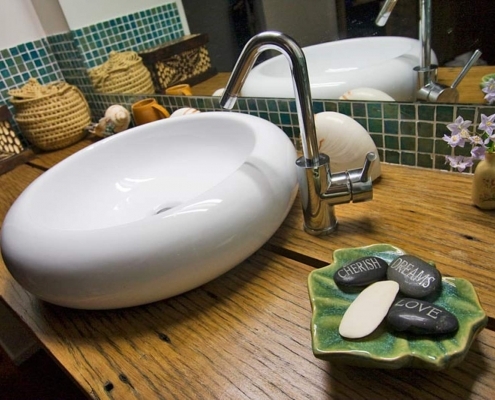 To create a home that had vague reflections to their business in the tourism Ocean Cruises business and create a simple yet open floor plan that would be affordable to build yet both stylish and sustainable in outcome. 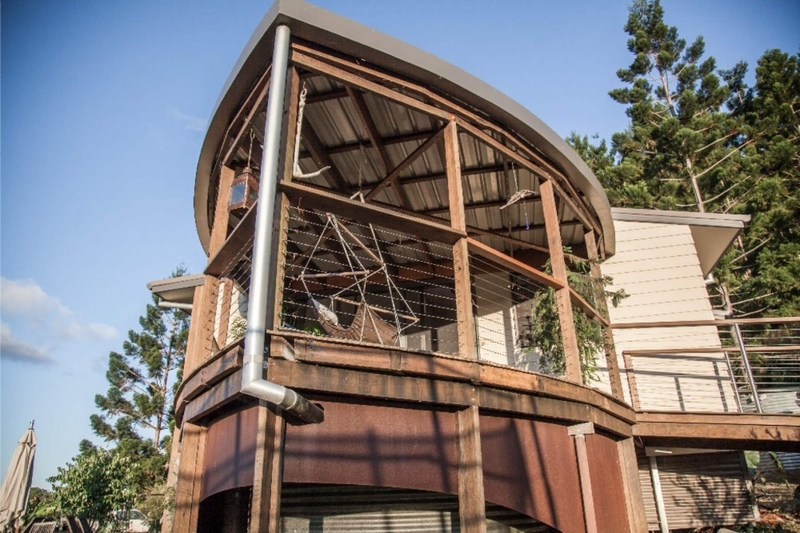 I designed the home with 2 balconies, a public balcony in the shape of the bow of a ship, complete with gangplank and anchor, the lower portion of steel in the shape of a bow wave. 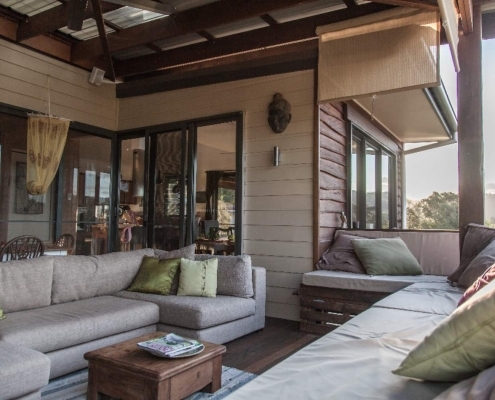 The other a private balcony with built in bench seats creates a resort style atmosphere. 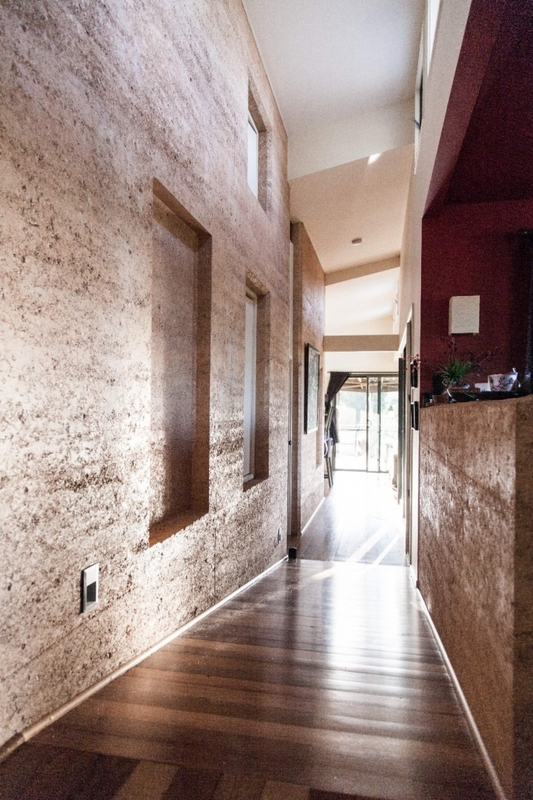 The main “Engine room” of this house is a wall of rammed earth thermal mass down the spine of the ship which is warmed by highlight louvre windows. 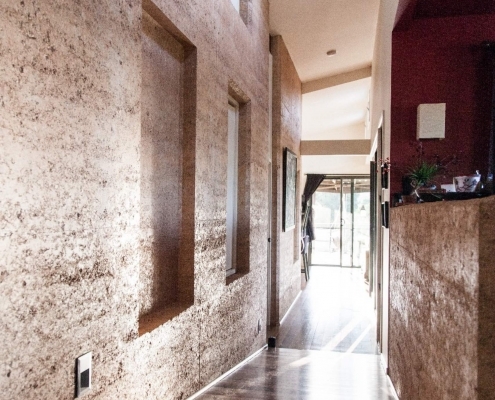 The sun hits this wall in winter only and will store the heat till the evening when it will be released into the atmosphere warming up the house naturally. 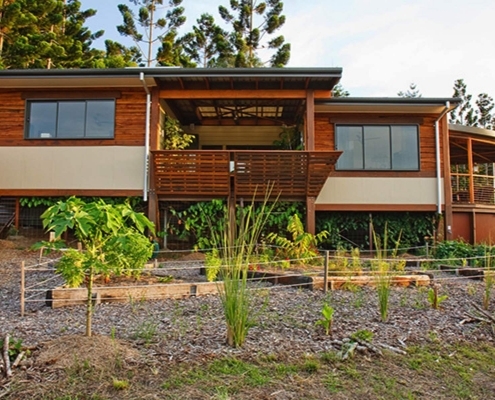 This house has many sustainable features including PV’s, solar hot water with gas back up, loads of recycled content including doors and vents. 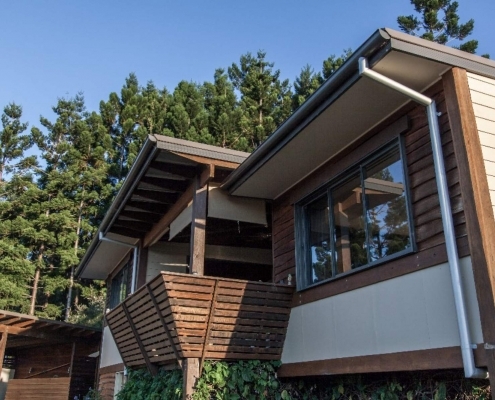 Heavily insulated yet ample cross flow ventilation, the house remains cool in summer and warm as toast in winter. 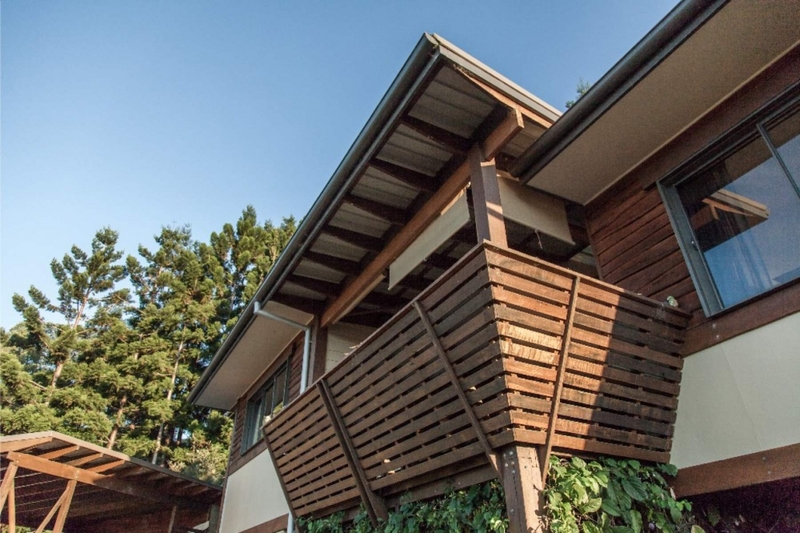 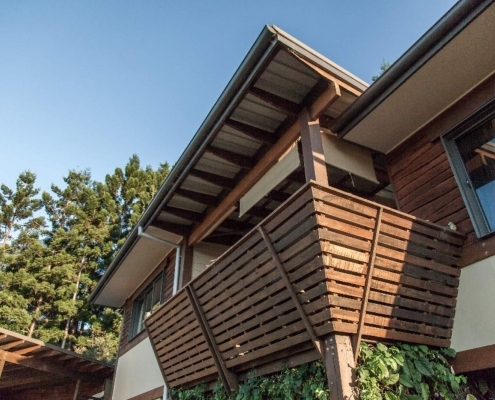 The home is fully accessible on this sloping block with internal ramps strategically placed. 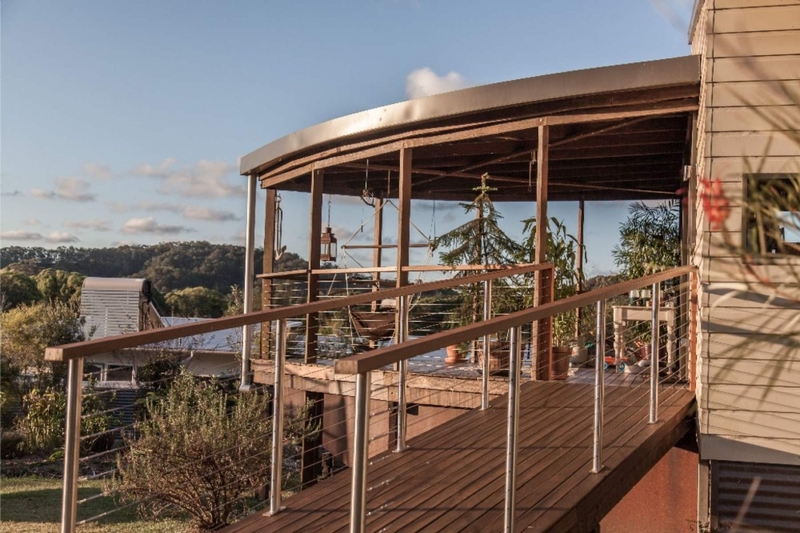 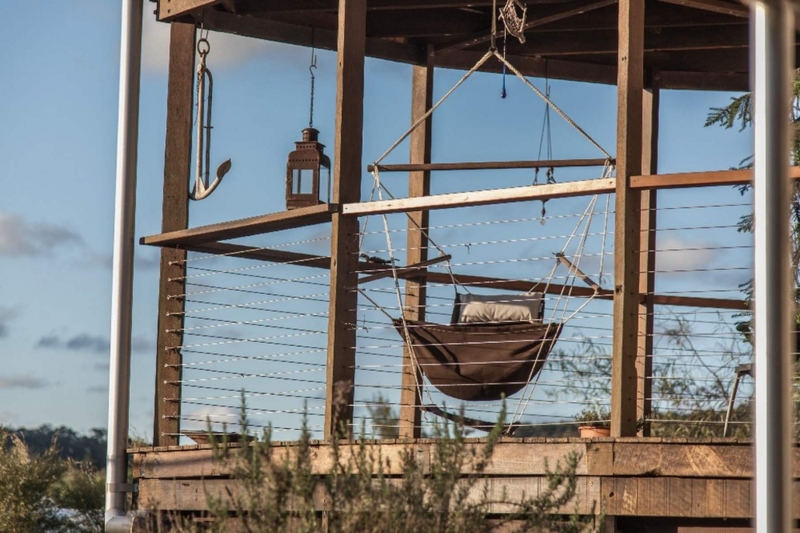 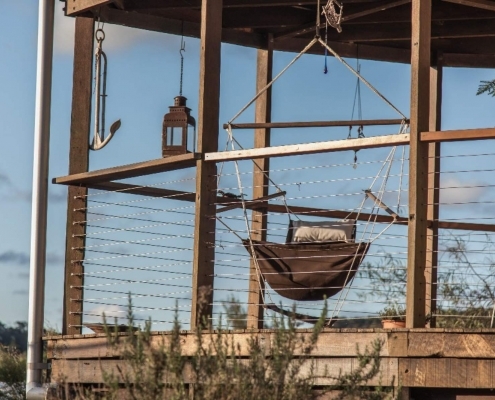 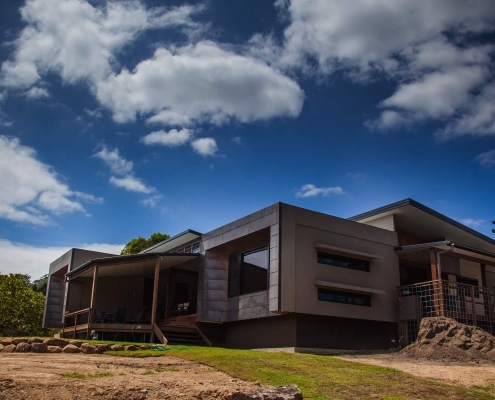 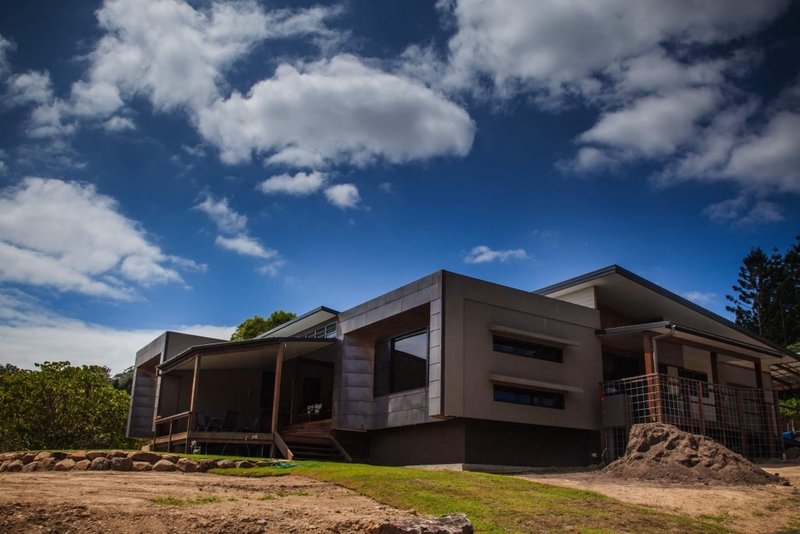 Yet it also has planty of architectural style and a modern feel with the angular balustrading to the wide decks, radial sawn weatherboards and the use of rammed earth.